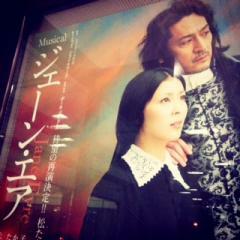 I went to see a musical. I saw “Jane Eyre” again. Ami’s singing made me cry.